Between believing and not believing, it is better to believe. Between acting and disintegrating, it is better to act. 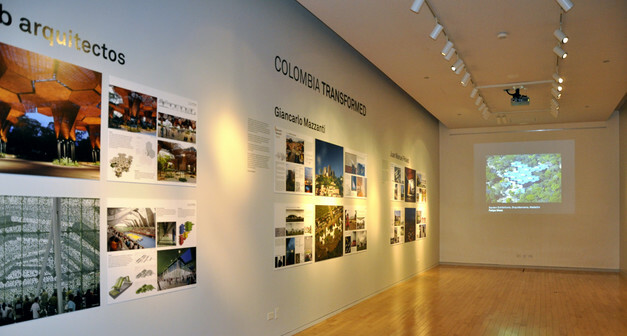 In the midst of the global financial crisis, while architects in developed countries contemplate the diminishing role of architectural forms, their counterparts in Latin America, particularly in Colombia, have succeeded in realizing a number of exciting and inspiring projects. 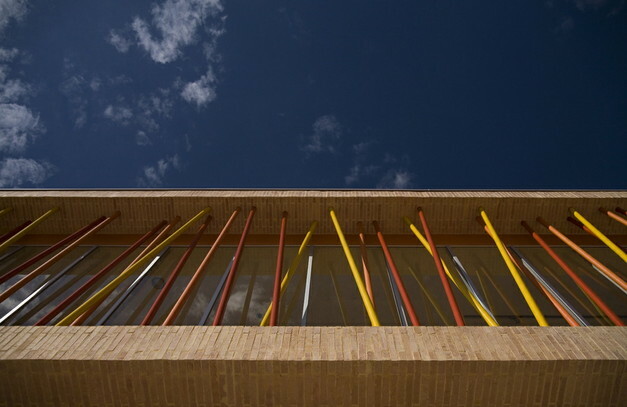 These initiatives convincingly demonstrate how original architecture can be employed in establishing renewed identities and purpose for local communities. 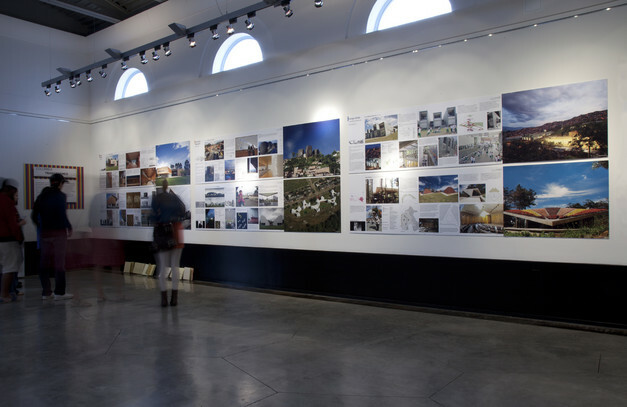 Critics continue to paint gloomy pictures of hard economic realities, which suggests architects should look for projects in emerging markets and even migrate there, as many have already. 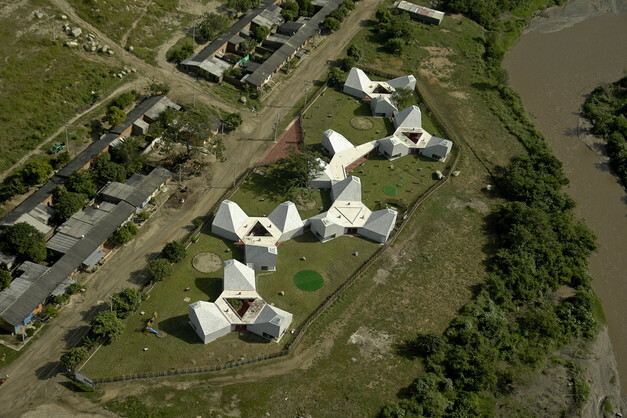 A number of Colombian architects find their creative use right in their own hometowns. 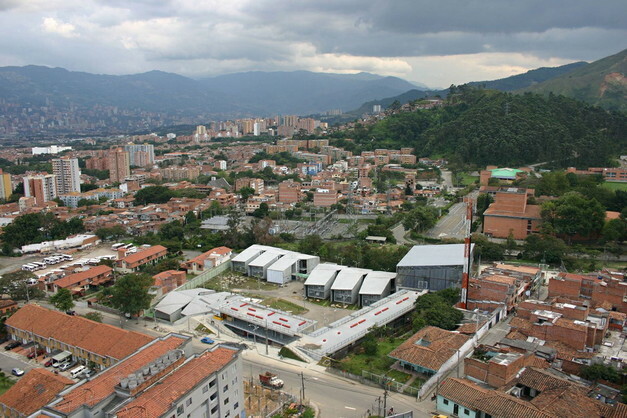 They devote their efforts to projects in which their innovative thinking is appreciated the most – in the poorest neighborhoods, which surely can be found in every architect’s home base. 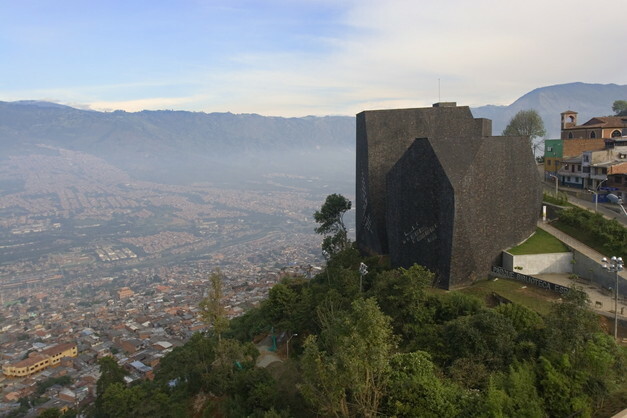 Ten projects by five Colombian architects provide much more than just shelter or entertainment, and constitute a cross section of the nation’s architecture. 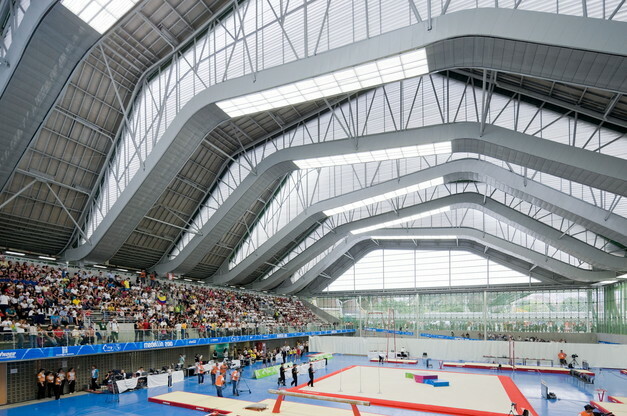 Most are winners of architectural competitions, which have become the norm for building public projects in Colombia. 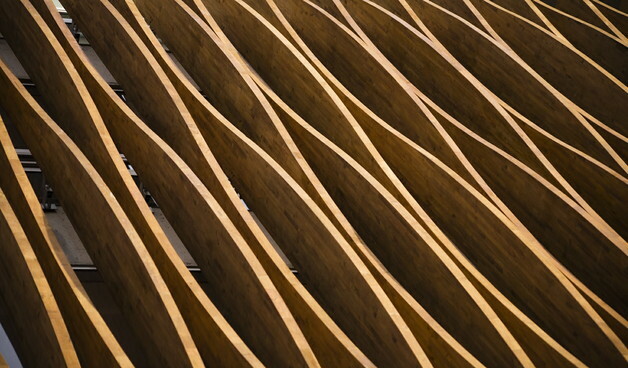 These architects work hand in hand with local politicians who see their towns as working tools and have faith in the transformative power of design. 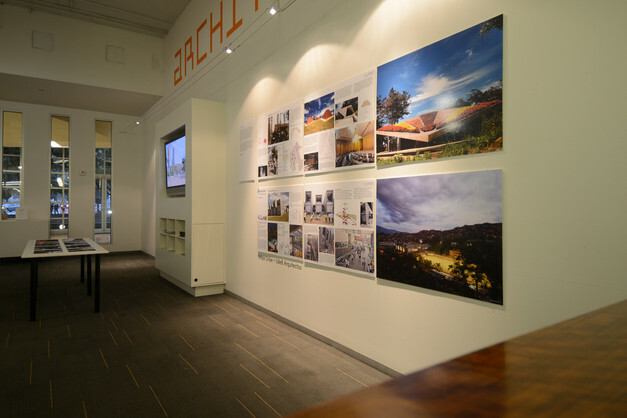 Together, they believe that architecture is able to bring identity to various parts of towns; to create new, dignified, and attractive public spaces for interactive learning and leisure; and most importantly, to lift the spirits of residents of the country’s poorest neighborhoods. 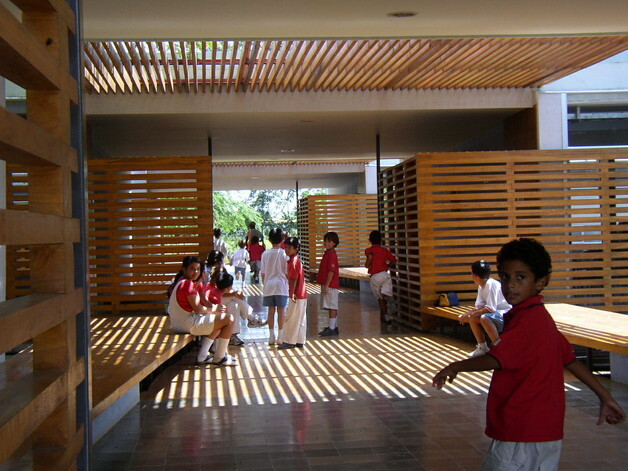 These transformative projects give us, architects from around the world, concrete hope: If our highly developed societies experience a glitch in building new symphony halls, museums of fine art, and iconic towers scraping clouds passing by, there is surely still a need to solve more essential issues in disadvantaged communities, the conditions of which frustrate us all, not just the residents. And if our own politicians do not see such activism as a priority, then perhaps it is up to us, the architects, to initiate socially-conscious projects such as new parks, playgrounds, and community centers in concert with the direct involvement of community groups and universities. And why not bring our mighty corporations into this mix, as well!? 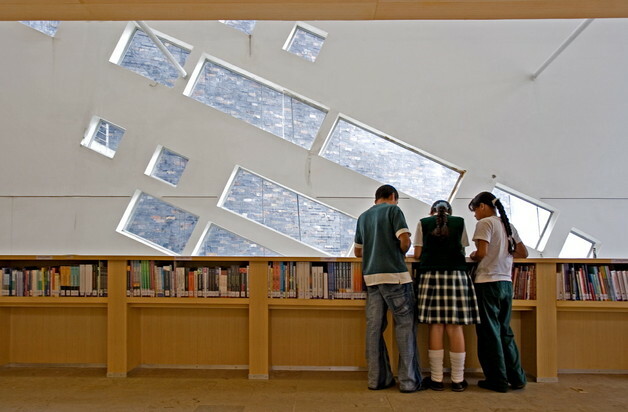 Kindergartens, schools, a sports complex, and a library built in Bogotá, Medellín, and Santa Marta in recent years prove what some architects, sadly, gave up believing long ago: that architecture can transform peoples’ lives. 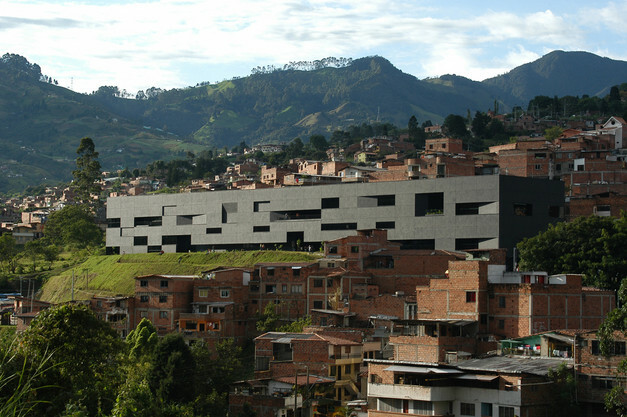 In Colombia, architecture leverages brick, concrete, and glass forms to improve the lives of ordinary people. These projects carry real value for their communities. They act as beckoning landmarks and spark curiosity and a sense of pride; they stitch together broken neighborhoods, fuel peoples’ aspirations, and provide safe and interlinked urban environments. 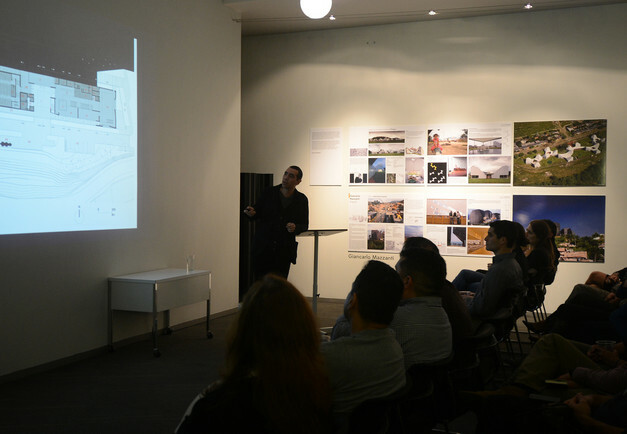 They also raise another vital aspect of architecture which no longer seems to be a concern for many contemporary practitioners – the search for regional identity. 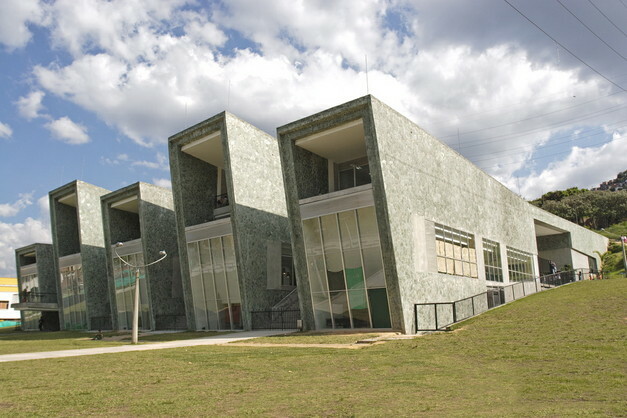 Internationally, projects often look undistinguished and irrelevant to their locales, but Colombian architecture stands out. It is not pretending to be elsewhere. It is rooted in its place. Instead of catering toward spectacle craving tourists, it is built to address the real needs of the locals. 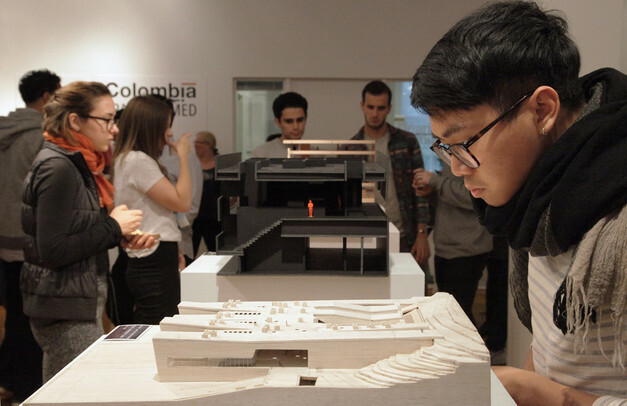 The Colombian experience has a clear message for the international community of architects – we are all needed right where we live. 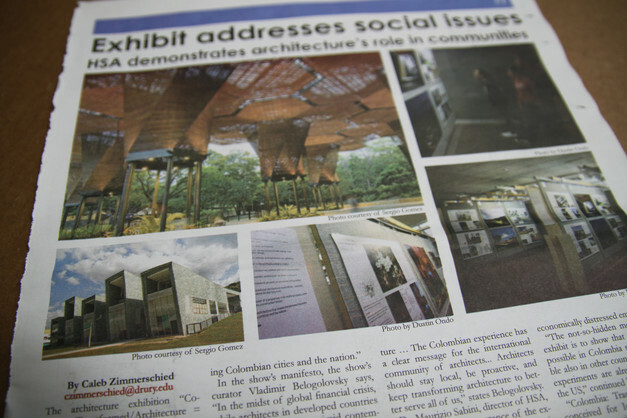 Architects should stay local, be proactive, and keep transforming architecture to better serve all of us. 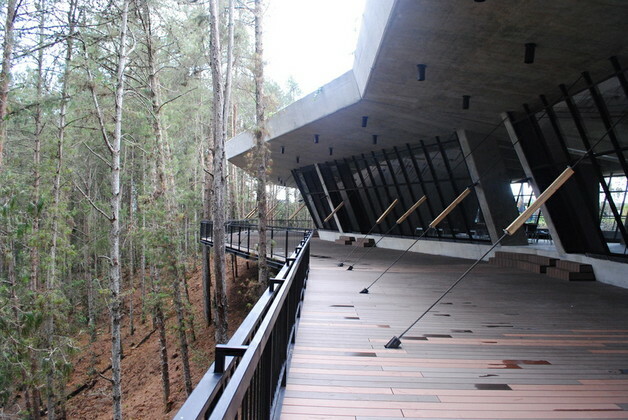 Architecture does make a difference – it is better to believe, it is better to act. 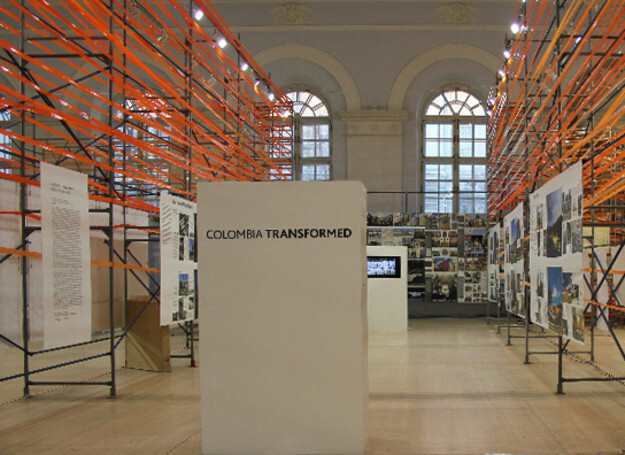 “Colombia: Transformed/Architecture=Politics” traces 10 recently built socially-conscious projects by five leading voices in contemporary Colombian architecture: Daniel Bonilla and Giancarlo Mazzanti from Bogotá, and Felipe Mesa, Juan Manuel Pelaez, and Felipe Uribe from Medellín. 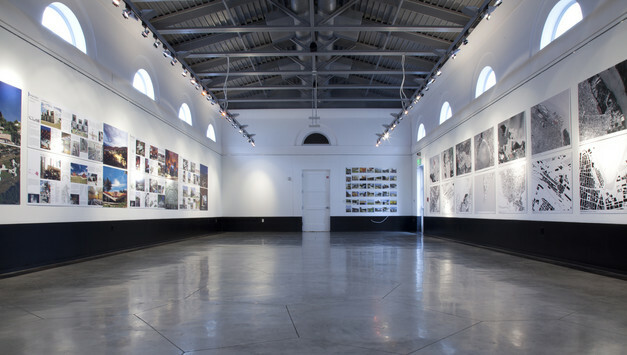 These visionary works reflect significant social shifts that are taking place in Latin America today. 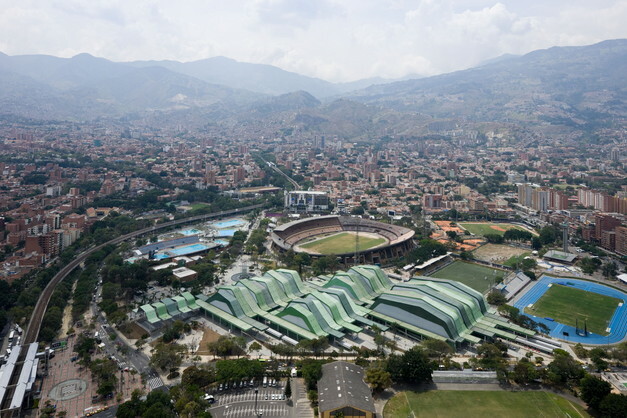 They demonstrate ideas of social inclusion, as well as innovative architectural forms and spaces, which have been steadily transforming Colombian cities and the nation. 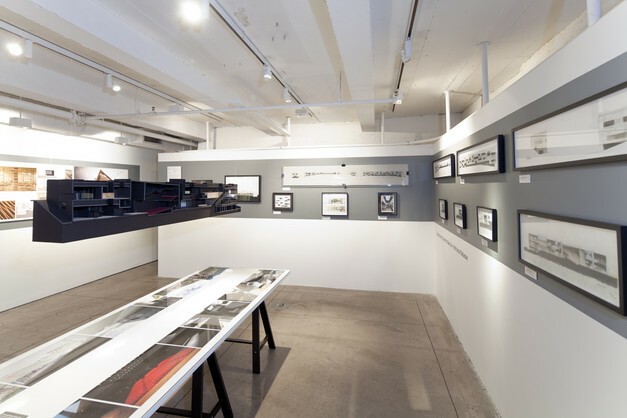 The projects are explored through photographs, slides, drawings, and film footage to celebrate how these buildings are appropriated by the public.